THE PLOT: Sophie Dupont helps her father with his painting but sells her own talent short. She is seduced by visiting artist Wesley Overtree, who one day leaves her a note saying “It was fun, but I’m off to Italy!” (I’m paraphrasing.) Unfortunately, Sophie had been working up the courage to tell Wesley she’s pregnant. Now she’s all alone, abandoned and ruined. Along comes Wesley’s younger brother, Stephen, a captain in the army. He’s looking for his brother and isn’t surprised to find out that flighty Wesley has skipped off to Italy, leaving his estate duties to someone else. Stephen isn’t stupid and easily puts two and two together, realizing his brother has left Sophie in the lurch. Stephen believes he’s fated to die in battle, so he nobly offers to marry his brother’s lover to give their child a name. A desperate Sophie agrees, marries Stephen in name only, and heads off to the Overtree estate to be introduced to the family. The couple agrees to keep Sophie’s past and the baby’s true parentage from Stephen’s parents. Stephen and Sophie begin to get to know each other and grow closer. Just when it seems like they make attempt a real marriage, Stephen must return to his troop, and Wesley returns. MY TWO CENTS: In past reviews, I’ve remarked that while Klassen is a Christian writer, the references to God and praying were appropriately placed. In this book I felt like they were a little heavy-handed; much more plentiful and central to the plot than I’ve found in her other books. Maybe this is because of the nature of the content—an unwed mother, a soldier who believes he will die, a man who wants back the woman he abandoned. The prayers are sincere and not requests for wish fulfillment. Stephen and Sophie ask for guidance on making good decisions, not for everything to be magically fixed. While this may appeal more to Klassen’s core audience, it has less crossover appeal to non-religious readers. 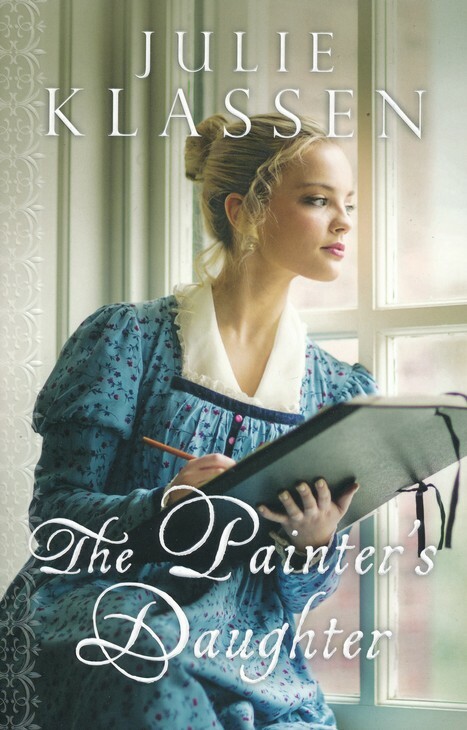 I was a little uncomfortable with the plot because to me, Klassen’s books seem much more realistic than fun Regency romances. The reader knows that, unlike most romance novels, everything is not going to resolve perfectly. Stephen’s family have a hard time accepting his sudden marriage to a woman of lower social standing. You know it’s only going to get worse if they find out she switched brothers. And how will they treat their grandchild? The relationship between Sophie and Stephen has a rocky road, and the story’s resolution isn’t a foregone conclusion. Will Sophie and Stephen end up together and happy? Will Wesley somehow redeem himself and claim his child? If so, where does that leave Stephen? The secondary characters all add interest to the story, especially a former soldier who usually serves as Wesley’s companion and knows the truth; a mysterious neighbor; and Stephen’s innocent young sister. I think this one would benefit from a sequel as I’d like to see if one character attempt to make amends for his actions. BOTTOM LINE: More religion-centered than the other Julie Klassen books I’ve read, and very thought-provoking. I would read a sequel. ON SALE DATE: The book is on sale in now hardcover, paperback, audio, and eformats.